What Will We Do Without Affirmative Action? While the Supreme Court didn’t close the door on race-based programs, it has left their future up in the air. 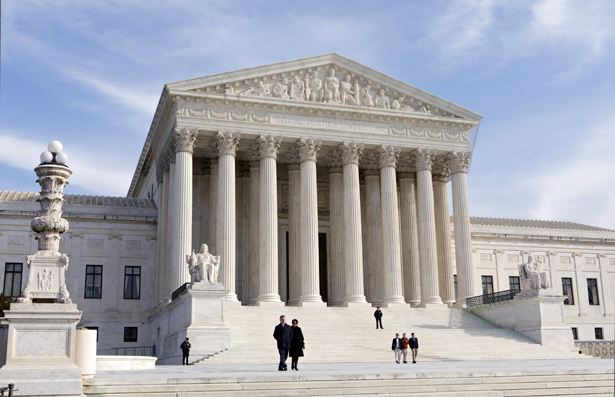 Today the Supreme Court decided that it won’t decide the future of affirmative action. In the case of Fisher v. University of Texas, where the plaintiff, Abigail Fisher, a white woman, claimed to have been denied admission to the University of Texas at Austin because she is white. She believed that because of UT’s consideration of race in their admissions process, a practice aimed at increasing diversity, she was not able to get into her school of choice and that violated equal protection rights. The university says Fisher wouldn’t have gotten in even if race wasn’t one of the factors used to determine admission, because her grades simply weren’t good enough. In effect, this means affirmative action, for the time being, is still constitutional. However, its future is unclear. The court will take up another case involving affirmative action in March of next year. Meanwhile, we are left to debate whether affirmative action is still necessary. You may believe, as Justice Thomas believes, that the case for affirmative action is comparable to that in favor of slavery. Or you may be less hyperbolic and simply believe, like Abigail Fisher, that any consideration of race in any way, shape or form is discriminatory and therefore has no place in our society. Or perhaps you see affirmative action as a way to promote diversity and believe diversity serves the common good. While the goal of diversity has been the easiest way to sell affirmative action to the public, that isn’t the purpose. The original intent behind affirmative action was to afford the descendants of America’s slave population and those who had suffered under Jim Crow—black people—the educational and employment opportunities denied to them by racist laws. It was expanded to include gender discrimination (and white women have been shown to be the greatest beneficiaries of affirmative action) and other racial categories. Colorlines has a great infographic showing racial disparities in wealth, unemployment and poverty as they were in 1965 and are now in 2013. If we accept that the purpose of affirmative action is to address these inequalities, not simply to diversify public spaces, then this graphic shows we have much more work to do. Detractors may say this offers definitive evidence of the failure of affirmative action, but really it’s the failure of not enough. The best refutation of a race-based affirmative action is the idea that it should be class-based—that those most economically disadvantaged, regardless of race, should be the first considered in these programs. However, an argument for class-based affirmative action should not cancel out race-based programs but highlight the fact that what we need is more affirmative action. What’s needed are programs that address inequality, whether based on race, gender, class or any other classification, with respect to the nation’s history of discrimination and an eye toward eradicating the inequalities such discrimination has caused. It’s the type of program we’ll never get, because a real affirmative action program would undermine the American notion that we are a meritocratic society, one in which people succeed based on their own merits and hard work. It would be an admission on the part of the US government that some citizens in this country have long benefited from discriminatory policies and the only way to counter the legacy of those policies is an aggressive program in which those who have been discriminated against are guaranteed education and jobs. The United States prides itself on being the land of opportunity. But the fact is, opportunity has been in short supply if you were not lucky enough to be born an upper-class heterosexual white male. Affirmative action is meant to correct that. If in the next year the Supreme Court decides that affirmative action is unconstitutional, it will be incredibly difficult to implement any program at all that seeks to address inequality of any kind, particularly racial inequality. While that wouldn’t be the state endorsing racism, it would be them turning a blind eye to it. Why does Aiyana Jones’s death matter?